Have you ever seen those awesome close-up shots where the background is blurry and the foreground is in focus or even the other way around? 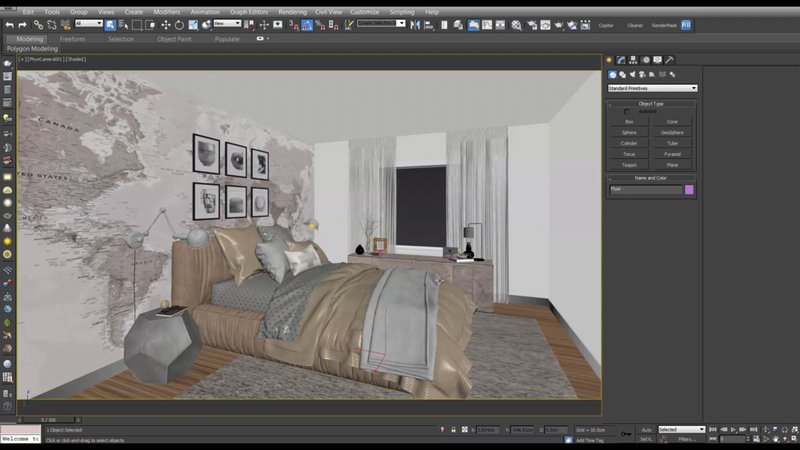 Well, today I am going to show you how you can do that in 3ds Max. There is also a video on the YouTube channel. Good luck and I look forward to seeing what you come up with. How to set up a camera with Depth of Field. 1. Depth of field is something that can be added in your camera. Here are a few examples from the real world. 3. In the top view lets select our camera and shift drag it and make a copy and name it DOF 1. Hit C with it still selected and you will go to the Camera view. 4. 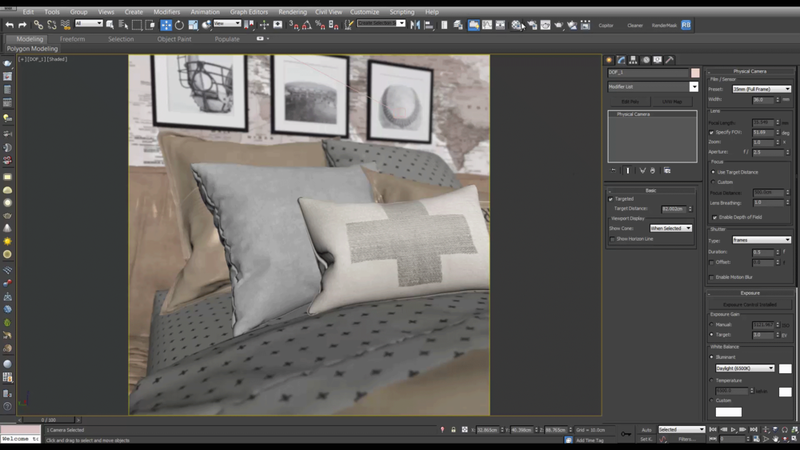 In this example lets create an image looking at the pillows on the bed. Use the navigation tools to get the desired image. 5. I want this shot to be square so lets change the render settings to 1200 x1200. 6. Hit Shift F to get up the safe frames. 7. In the top view make sure your camera is on target and you will be able to see where it is targeting. 8. We want that on the pillows so you can use the target dialog to get that looking right. In the camera settings go to x and enable DOF. Wait a minute you will see the effect in the viewport. 9. In the render settings change the output paths. 10. Now if you hit render, you should get something like this. 11. You can then use the post production techniques I showed you in the Photoshop Tutorial to get something like this. In this lesson we have created close up cameras and added depth of field. If you would like to push your rendering skills to the next level then click here to book a free 30 minute call with me to see how I can help.